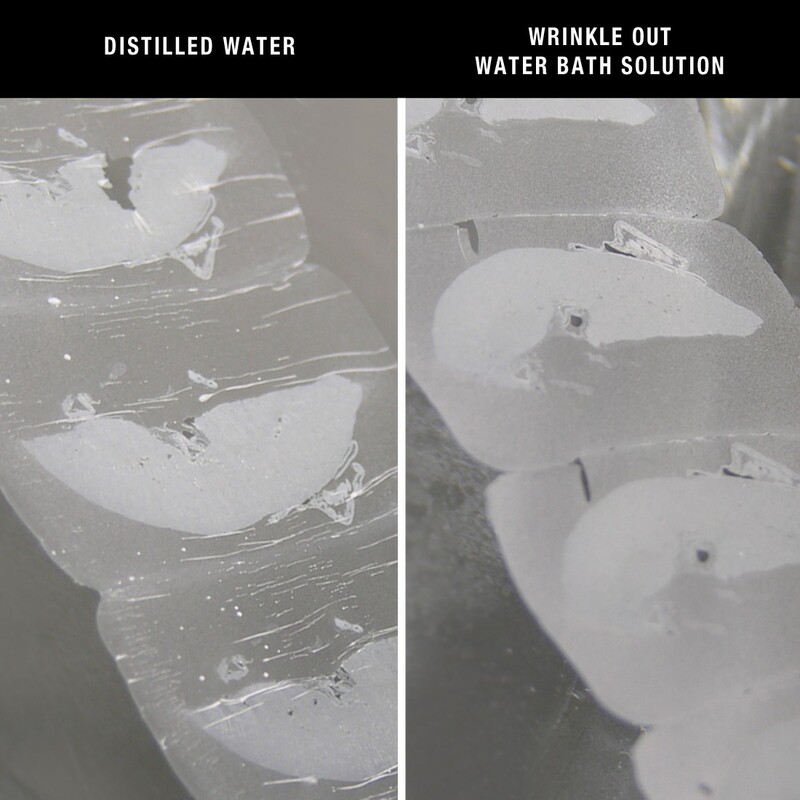 Wrinkle Out Water Bath Solution | Polysciences, Inc.
Photo: Left: wrinkled and compressed paraffin ribbon placed in normal water bath filled solution. Right: paraffin ribbon in Wrinkle Out Water Bath Solution. Wrinkles disappear and compression is gone, allowing the tissue to flatten. Use in place of normal or distilled water for water bath when cutting paraffin sections and pick up wrinkle free ribbons and sections on the slide. Changes the water surface tension so tissue spreads evenly without wrinkles when using paraffin that is of lower quality than the polymer fortified paraffins on the market. For best results set water bath temperature at 34-38º C.